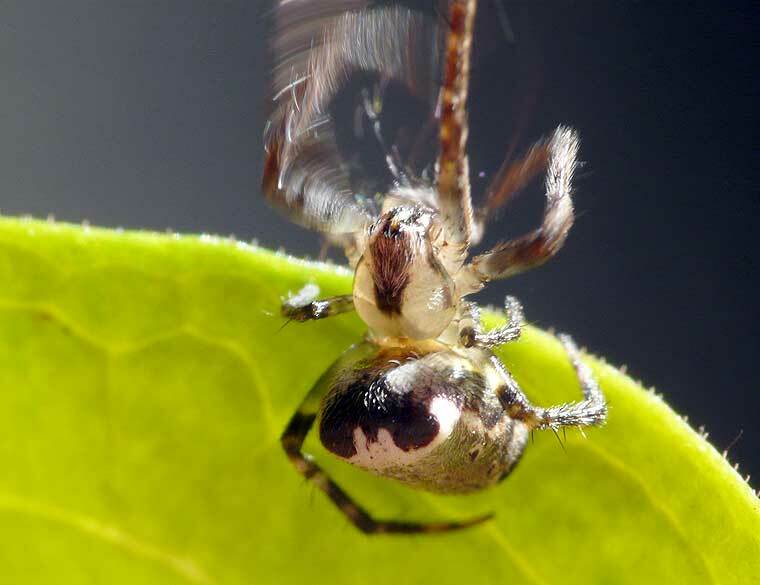 This food parcel was probably prepared by some other spider or insect, this spider just got lucky. 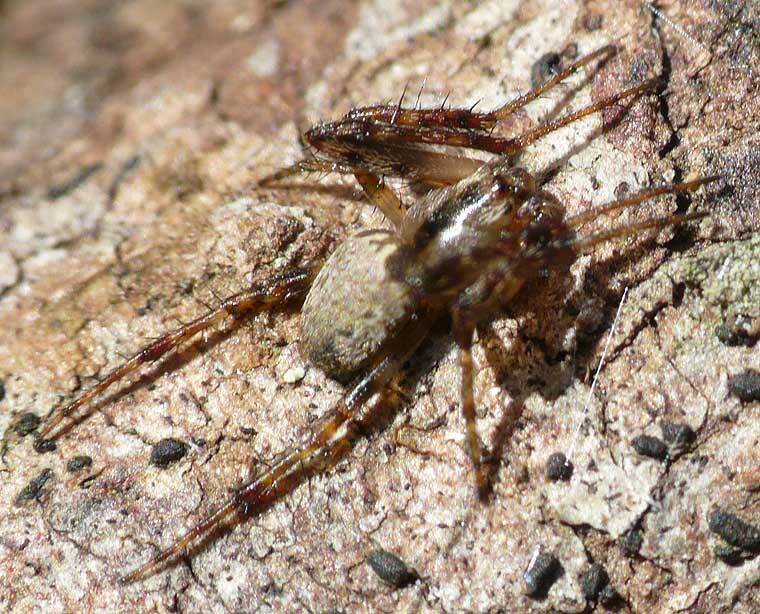 This female body length about 8mm featured a strongly delineated figure (the W-shaped blob). 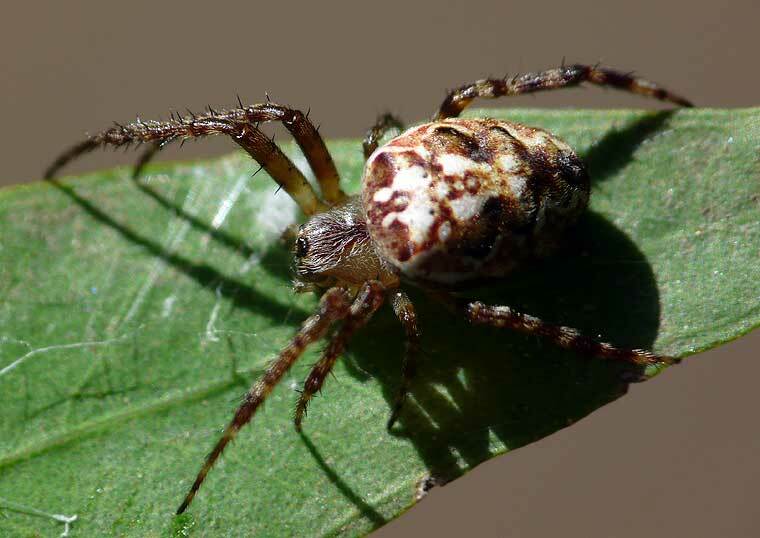 It was collected on the weedy creekbank at the SOWN nursery on Paten Road The Gap on Saturday 6 June 2009. 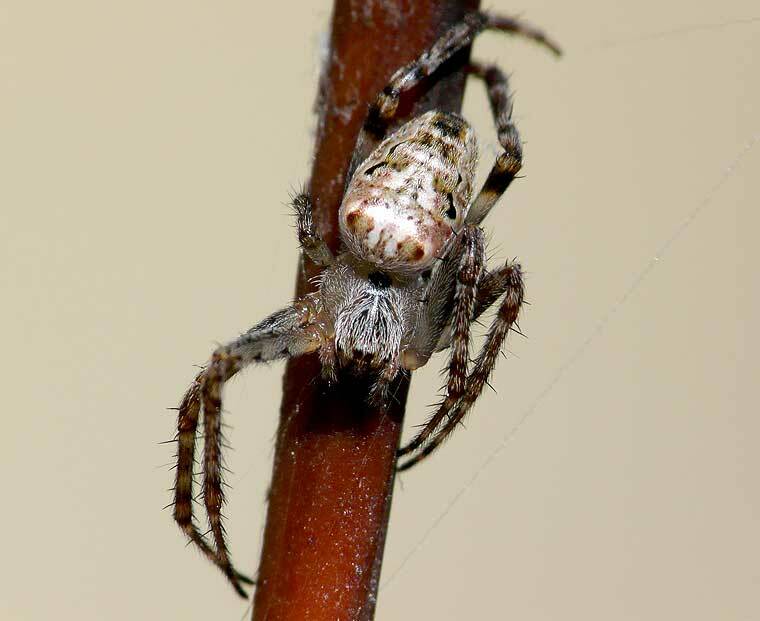 This male is definitely Araneus and quite possibly A. eburnus. 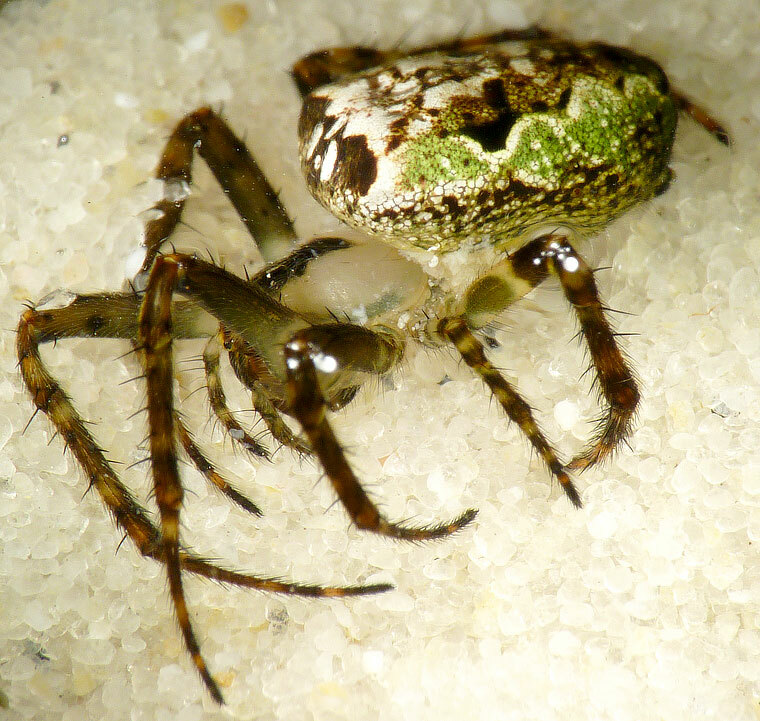 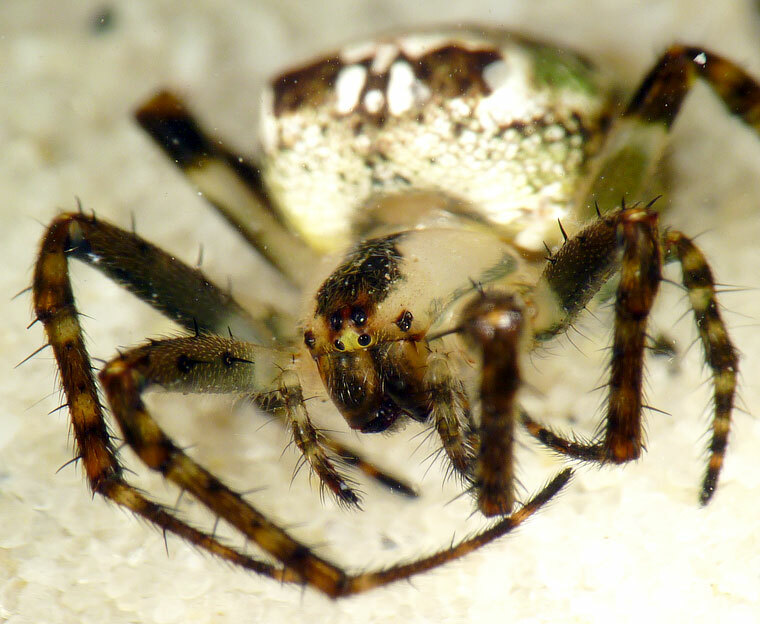 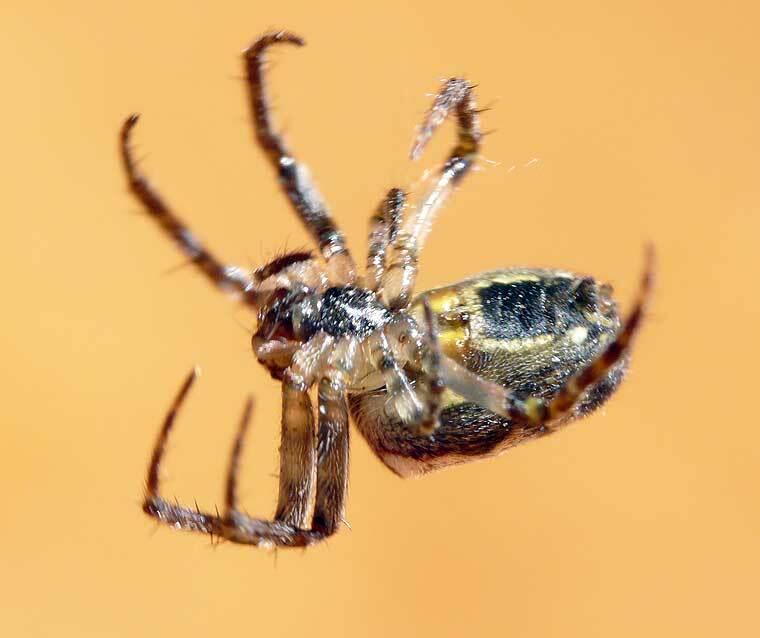 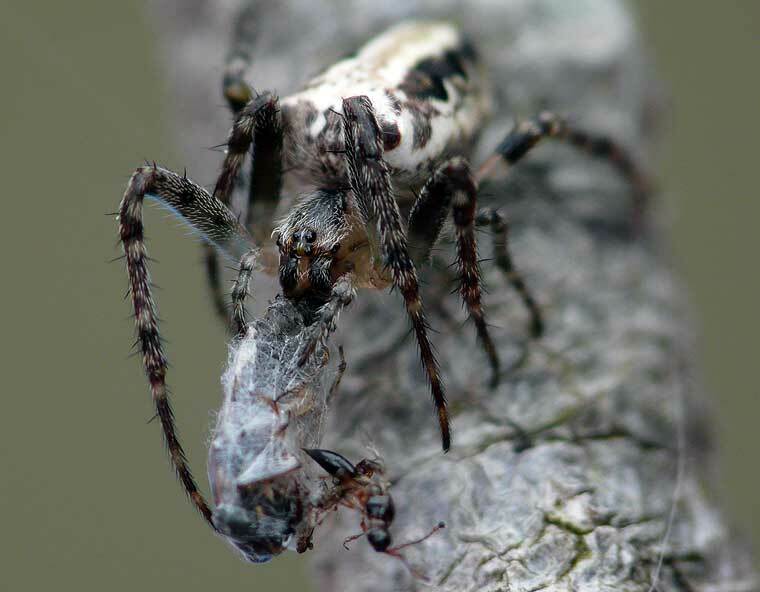 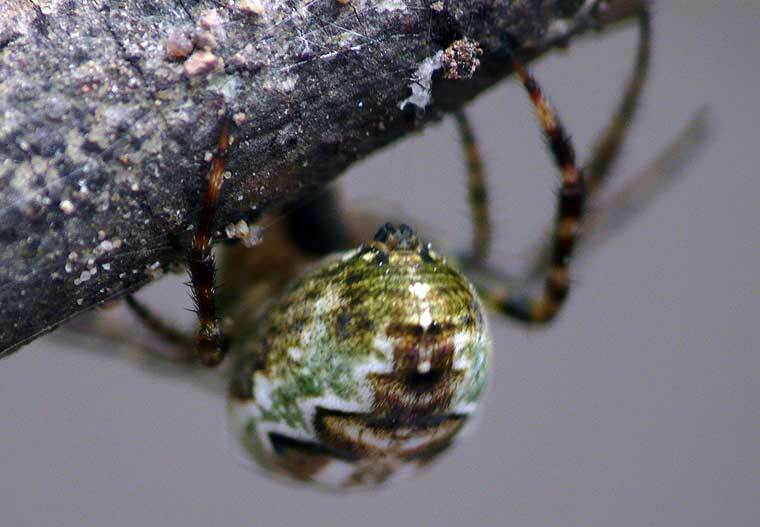 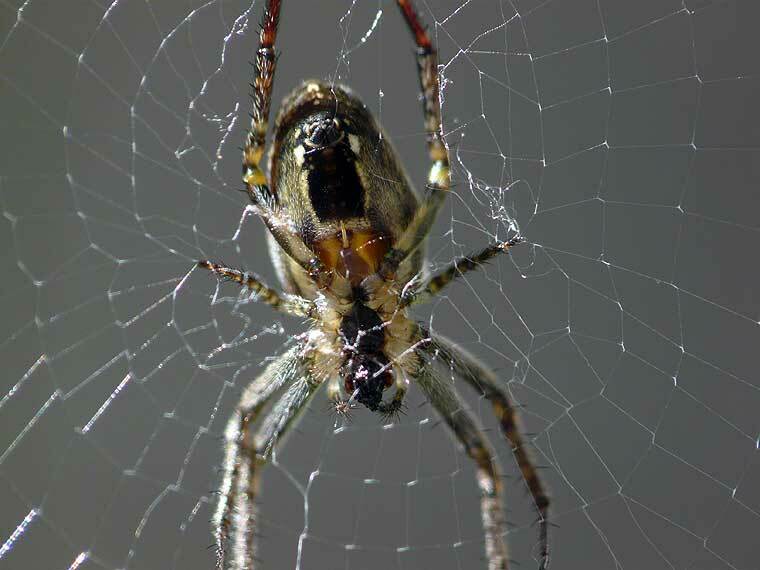 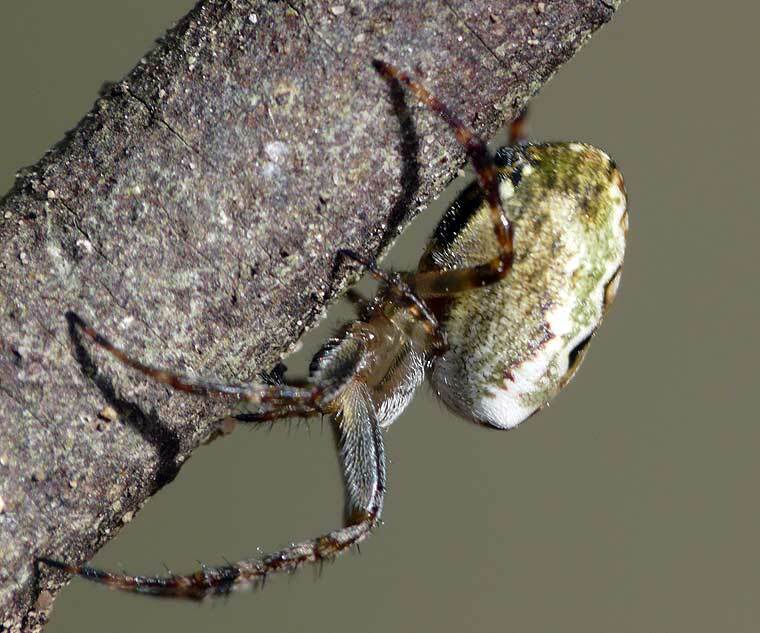 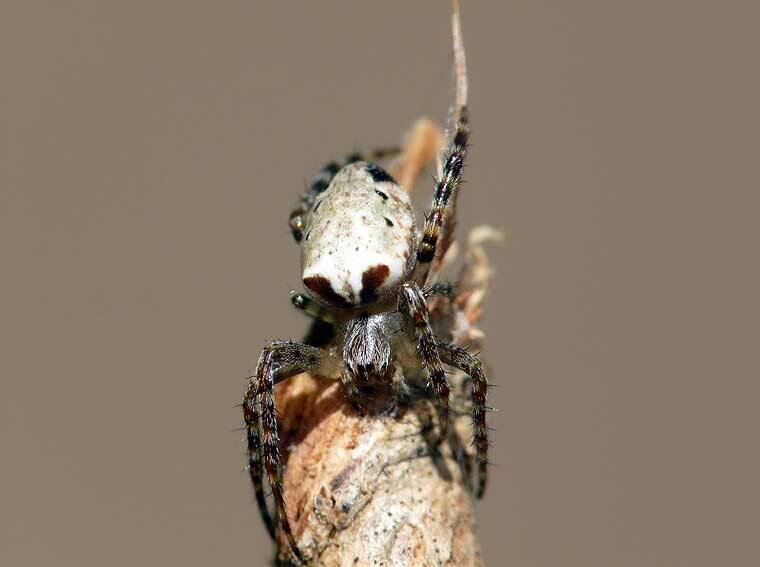 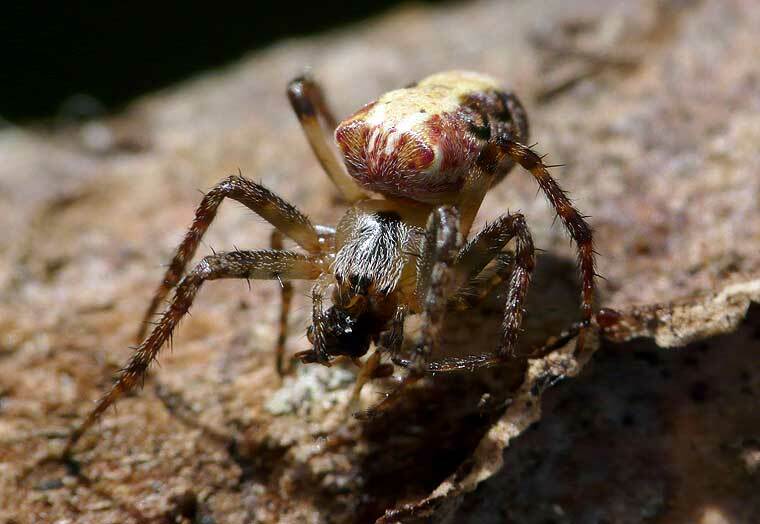 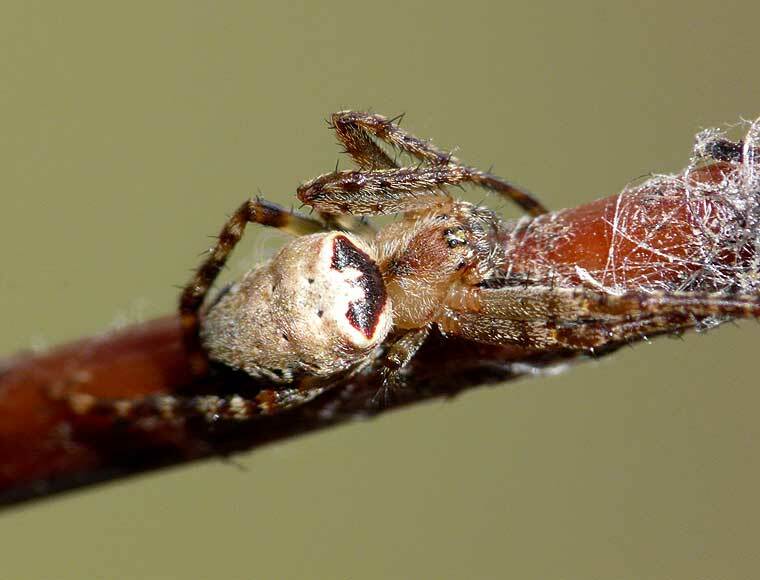 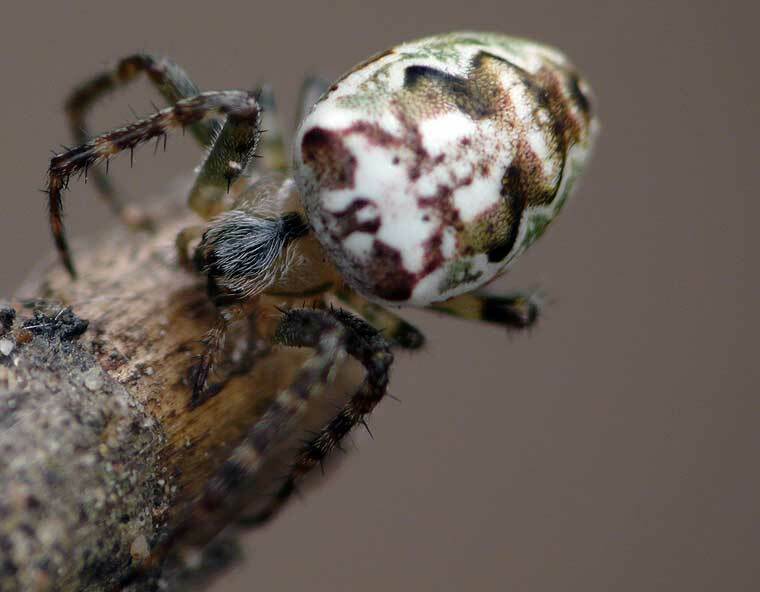 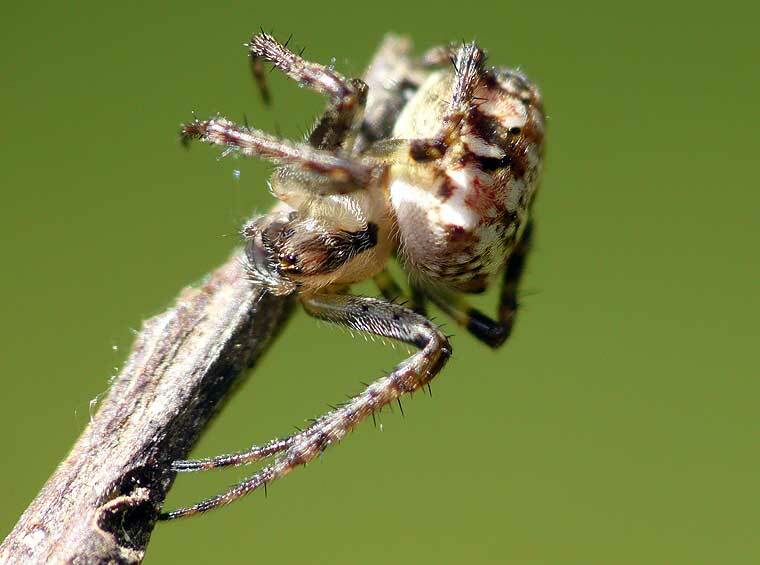 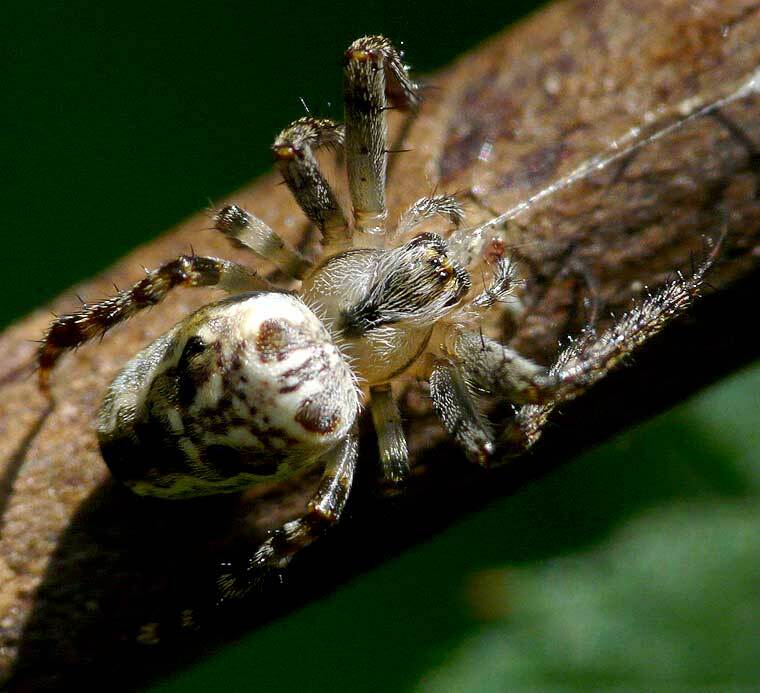 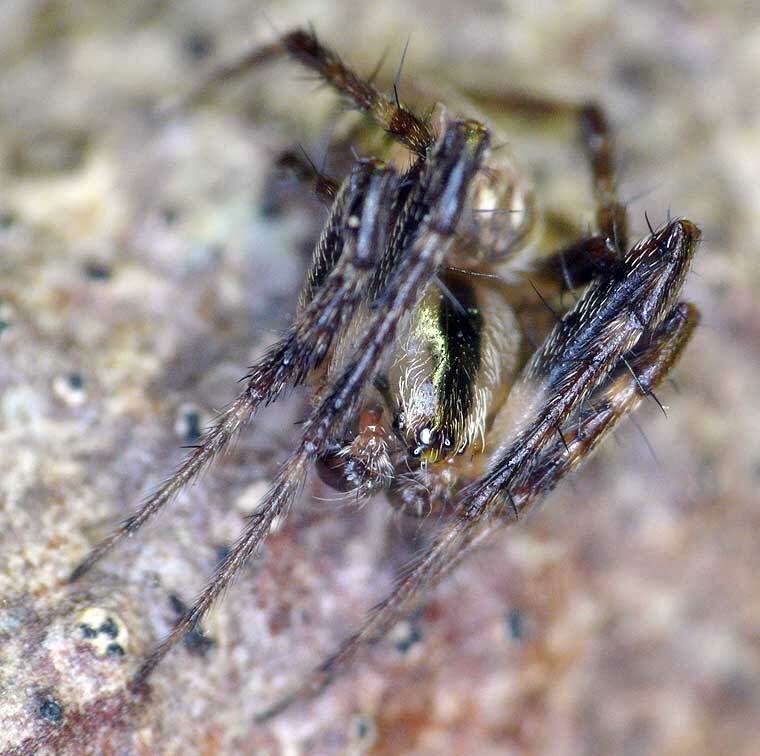 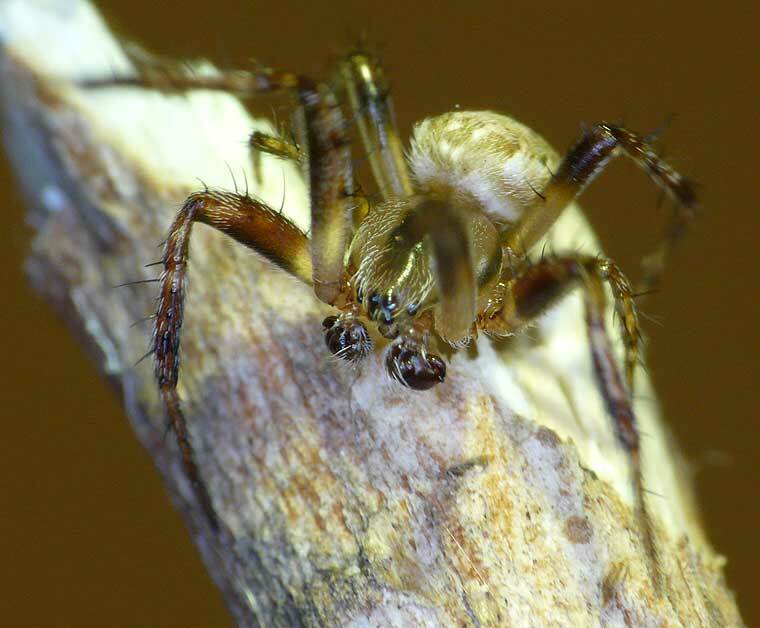 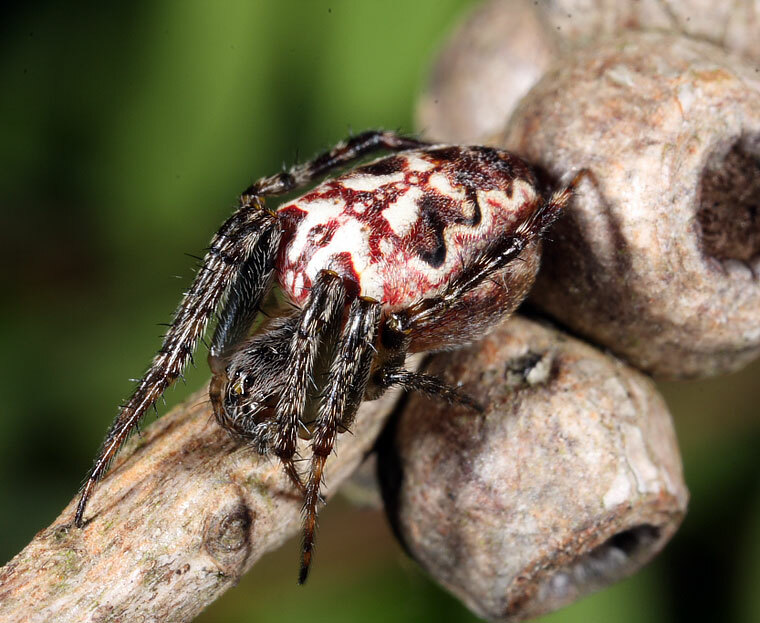 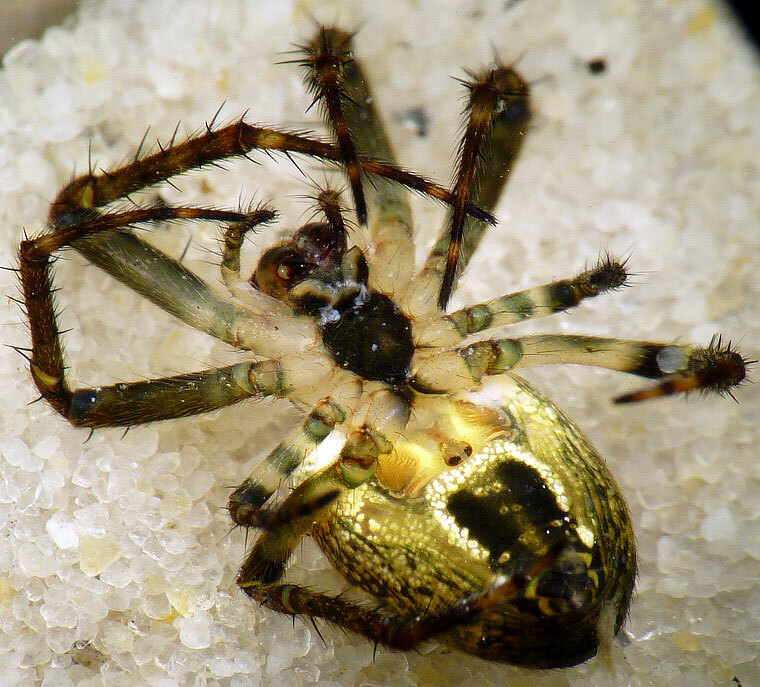 It has the characteristic figure on the front upper section of the abdomen, and the hint of the scalloped pattern common to some Araneus and Eriophora. 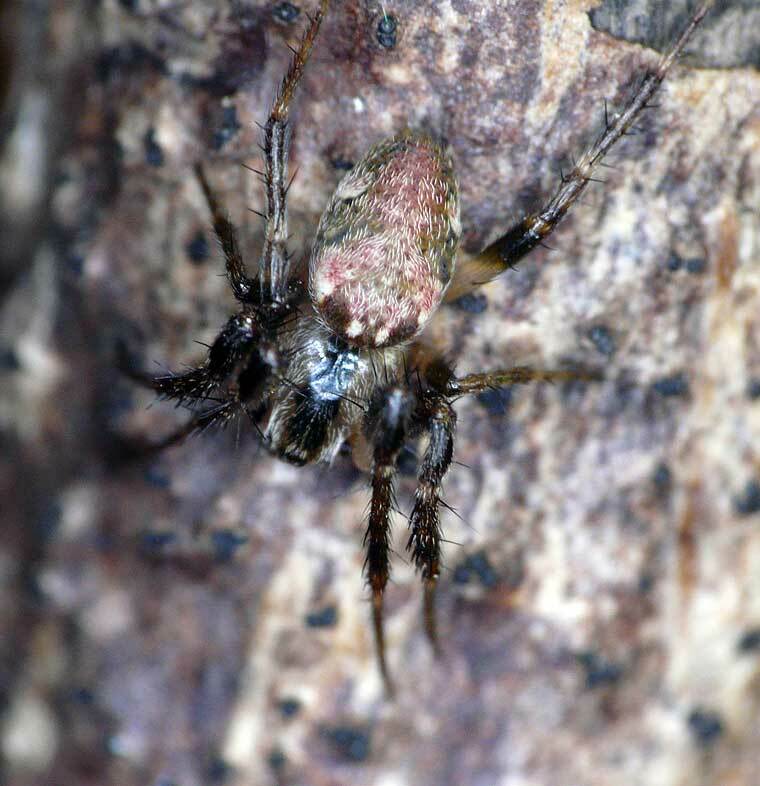 While the picture is not at an angle to be definitive it is most likely A. eburnus. 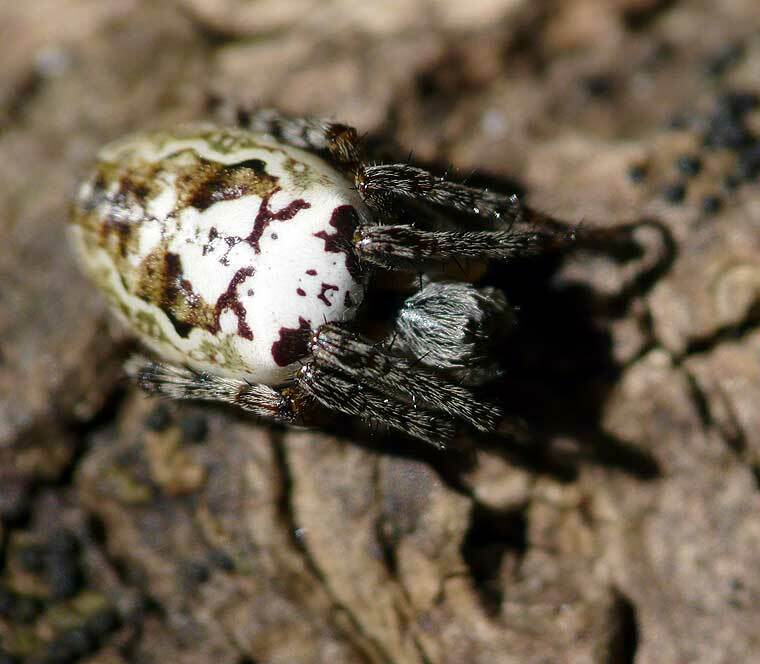 Body length 4mm. 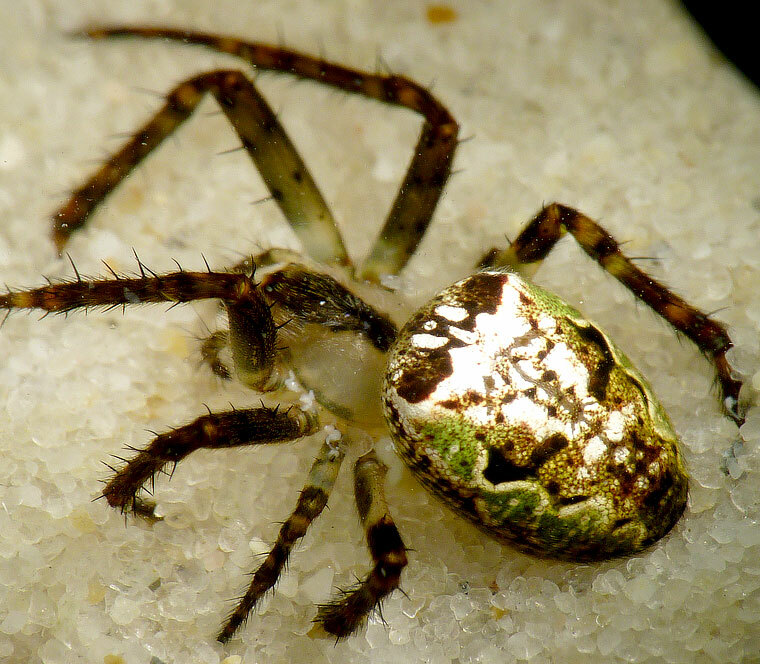 This specimen collected at Green Hill Reservoir, Chapel Hill.